aeropress from Rivendell Bicycle Works on Vimeo. Sick of pedaling? Rock you like a Hurricane! 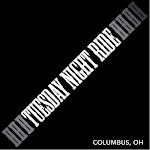 Happy Valentine's Day From Columbus Rides Bikes!